CMP will be hosting a Food Service Legal Issues Seminar in partnership with Asian American Restaurant Association and JLG Law Group on Monday, April 8th. The seminar will help restaurants and other food service business owners understand the employment and labor laws and learn how to develop best practice in complying with new rules and requirements. 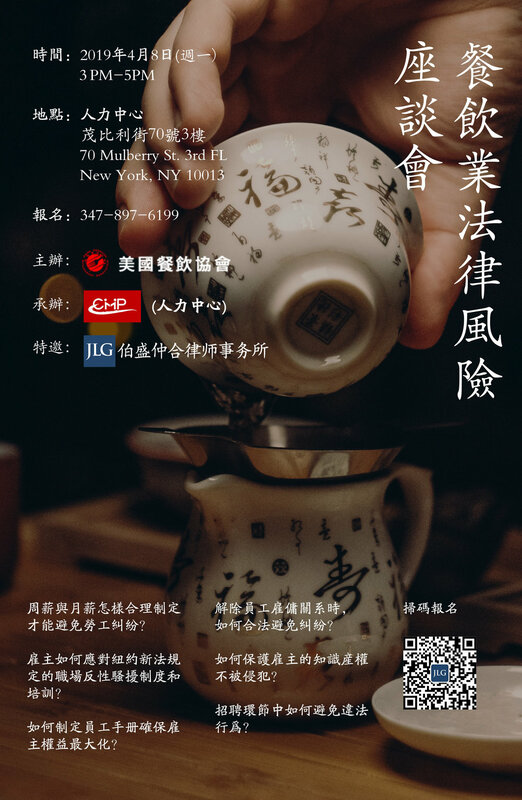 The seminar will be presented in Mandarin Chinese. For more details, please contact CMP at 212-571-1698.